Urinals are one of the hardest, messiest, dirtiest, smelliest, drain to work on in the plumbing world. 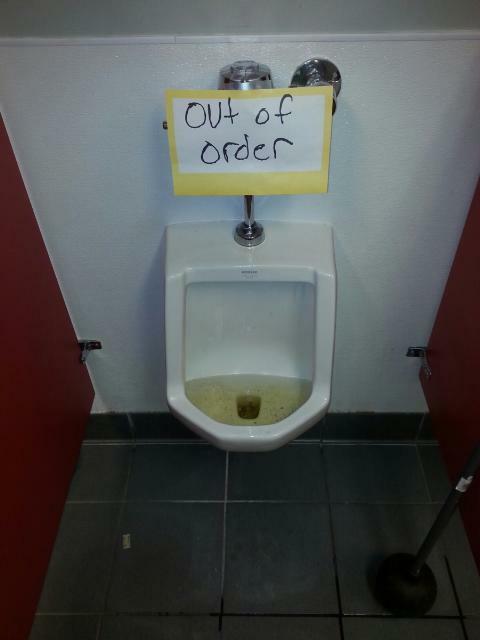 It takes time to clean a urinal cause of how hard to is to remove calcium build up from urine. Leave unclogging, plugging urinal drains to the professionals. Is Your Flange In Shape?